If you make a reservation and are unable to attend the meeting, you are still responsible for payment. Thursday, August 17, 2017 ~ 11:30 a.m.
His practice focuses on upstream transactional matters for the oil and gas industry. He represents clients in the drafting and negotiation of purchase and sale agreements and all other types of agreements pertaining to the exploration, development and production of oil and gas. Lamont’s practice also includes midstream transactional matters, including the drafting and negotiation of joint ventures and purchase and sale agreements covering midstream assets, along with gathering, processing, transportation and disposal agreements for gas, crude oil, and water. He also has extensive experience preparing of all forms of title opinions covering fee, state, and federal lands. Lamont is an active member of the Rocky Mountain Mineral Law Foundation, and has authored several papers and spoken extensively at various continuing legal education events. 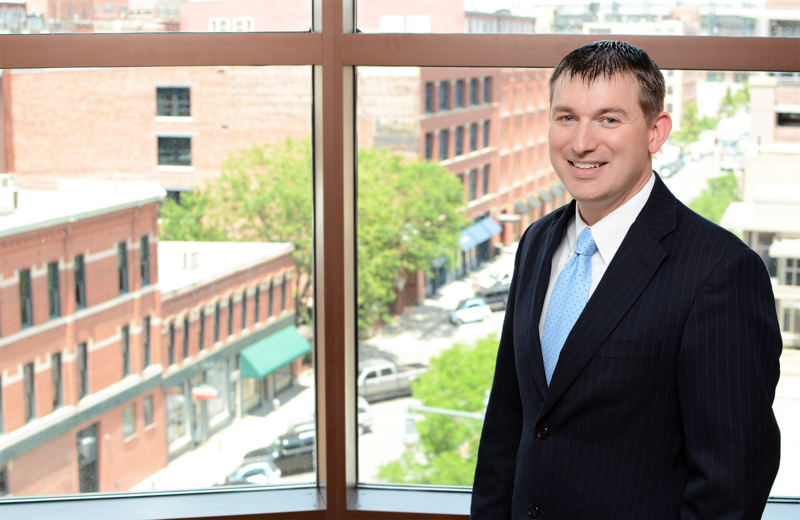 Lamont was named a “Rising Star” in Colorado by Super Lawyers magazine in 2015 and 2016 and was selected for inclusion in Who’s Who Legal: Energy 2015 and 2016. Prior to joining DGS, Lamont practiced oil and gas law in Texas for two years. He is admitted to practice in Colorado, Wyoming, Texas, Utah, and Pennsylvania. What’s Different about the New AAPL Form 610-2015 Model Form Operating Agreement? In 2011, the American Association of Professional Landmen formed a task force to undertake a comprehensive revision to the Form 610 Model Form Operating Agreement, which had last been revised in 1989. After many years in the making, the much anticipated Form 610-2015 Model Form Operating Agreement has now officially been released. This presentation will summarize the numerous changes made in the 2015 Model Form, explain the rationale behind the new changes, and discuss why companies should begin using the new Form 610-2015 JOA in their oil and gas operations. Key revisions to be discussed include those pertaining to title failure, the scope of the operator’s authority, the exculpatory clause, transfer of operatorship, and post-assignment liability, along with new provisions regarding a non-owning operator, amending Exhibit A to the operating agreement, and the execution of the operating agreement by less than all parties. DALTA is offering the Exceptional Attendance Prize again this year! Members (in good standing) that have attended the required events will be eligible. You must register for this event to qualify for the Exceptional Attendance Prize Drawing.